This video link shows a story from PBS News Hour (November 29, 2010) describing research by the Denver Museum of Science and Nature of an Ice Age fossil site in Colorado. 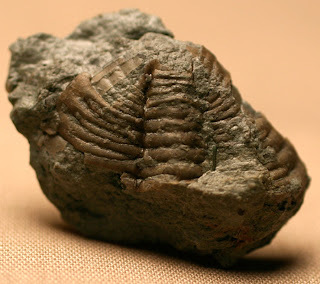 Scientists there believe the fossils are between 45000 and 125000 years old. Excavators there were finding a fossil every 2-10 minutes with a new species discovered every day during a six day dig. 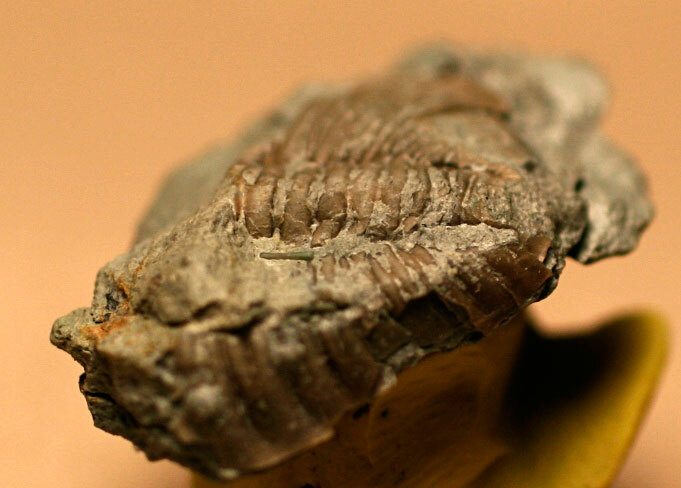 Fossils found were a juvenile mammoth, 5 mastodons, a bison with a 2 meter horn span, and a Jefferson's sloth. What makes the site even more special are the plant, insect, and invertebrate fossils found with the vertebrates. It allows researchers to recreate almost the entire ecosystem. Learn more by watch the story at the video link or read the transcript at the News Hour web site. One can also listen to a MP3 of the story at this link. 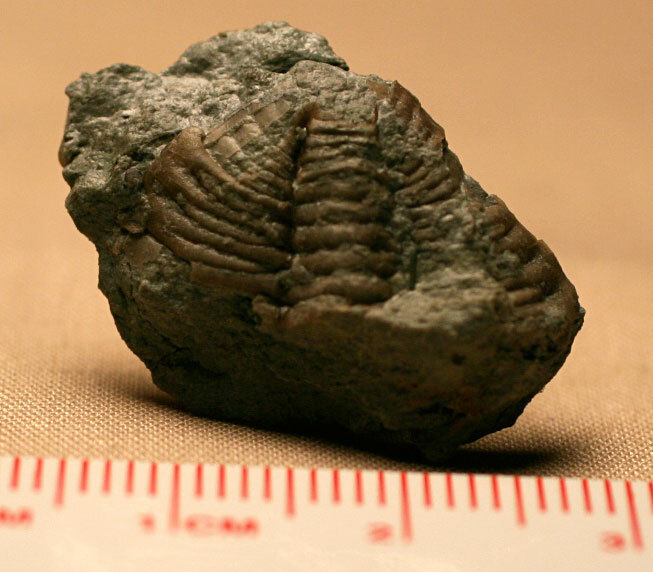 UPDATE: After a little more research one can find a more detailed listing of their findings at The Artful Amoeba blog entry entitled "Snowmastodon Village: A Visual Tour of a Remarkable New Find"
Unidentified trilobite pygidium of maybe a Dalmanites or Glyptambon. 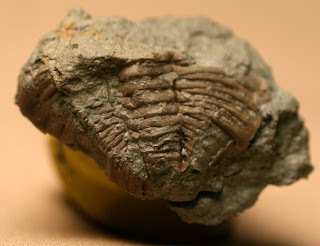 Fossil found in the Waldron Shale of Clark County, Indiana. This animal trudged the sea floors during the Middle Silurian Period.